It's not for nothing that Dr Subramanian Swamy is called a maverick. 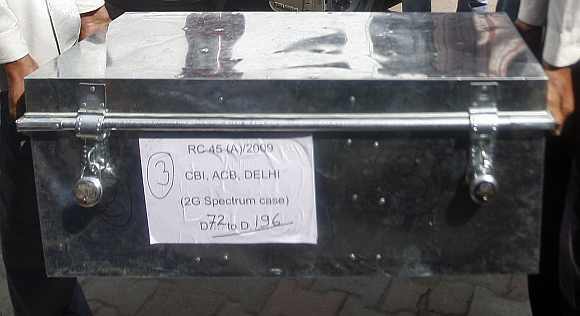 And the maverick was at his best once again while speaking on the 2G scam and its implications in Mumbai, just a day after the trial court judge O P Saini dismissed his petition to make Home Minister P Chidambaram a co-accused with former disgraced telecom minister A Raja in the allocation of the scandal. 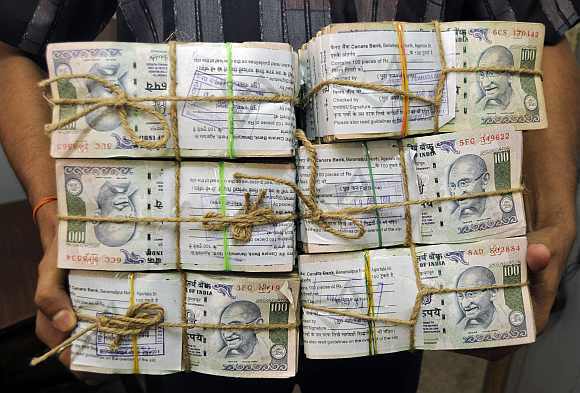 Shocking the audience who lapped up every bit of sensationalism that he mouthed Dr Swamy said that Pakistan's dreaded intelligence agency, the Inter-Services Intelligence has dossiers on black money stashed abroad by Indian ministers. "Every Indian minister is a blackmailable commodity," said the Janata Party president in the course of his 90-minute speech that took jibes at Telecom Minister Kapil Sibal, Chidambaram, Prime Minister Dr Manmohan Singh and Congress President Sonia Gandhi. "The ISI knows which (Indian cabinet) minister has how much money in which account," Dr Swamy threw a bombshell that elicited a huge applause from the audience. Dr Swamy's address was organised by Moneylife Foundation, a non-government organisation, on its second anniversary. Later during an impromptu press conference when rediff.com asked Dr Swamy if he had any concrete evidence that such dossiers exist with the ISI and whether the ISI is using this dossier to blackmail Indian ministers or the statement was made to create sensation, the former Harvard professor and a cabinet minister in the Chandrashekhar government in 1990 shot back, "Dr Swamy doesn't speak without evidence. I have all the evidence and I will produce it in a court of law when the time comes. Why should I tell you about it?" For Rediff Realtime News click here! Drawing analogy from the mythological epic Mahabharata, Dr Swamy, who is admittedly soft on PM Singh, likened the latter to Bhishma Pitamah who watched helplessly even as the kauravas ravaged Draupadi's modesty. The allusion was to Dr Singh being a helpless and mute spectator as Raja and Chidambaram went around with the 2G scam taking place under his nose. The PM, Dr Swamy said, was chosen as the prime minister because he was weak. Replying to a question from the media, he likened Sonia Gandhi to the ringmaster with a whiplash and Dr Singh to a lion. "In Hindi Singh is a lion," he punned. The Janata Party president later lashed out at the prime minister's just being a mute spectator. 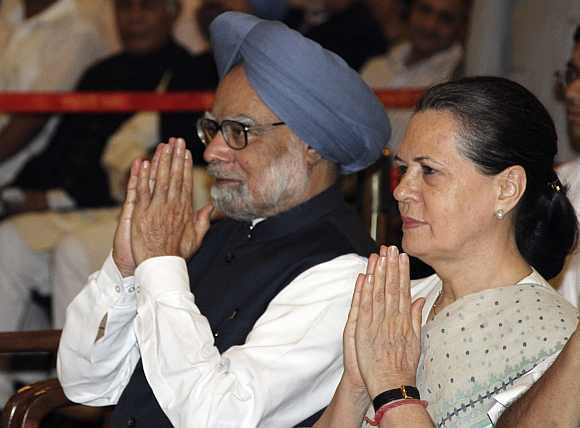 "While Dr Singh is very honest, he is also weak and that's why he was chosen as the prime minister," he said. 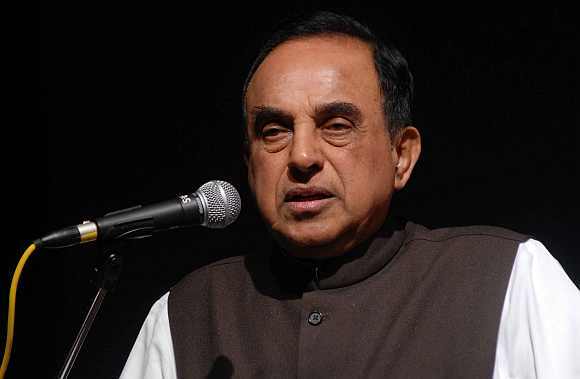 Lambasting Sibal's defence that the loss to Indian exchequer in the 2G scam was zero despite the Comptroller and Auditor General of India 's estimate of a loss of Rs 1.76 lakh crore, Dr Swamy said it came because of Sibal's sycophancy. 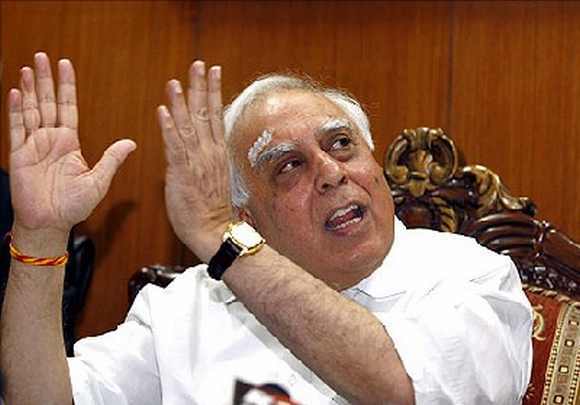 "Kapil Sibal cannot count beyond zeroes," Dr Swamy said ridiculing the telecom minister's zero-loss statement. "He said it because of his level of education and fit of sycophancy," he added. Later taking a dig at Sibal and Chidambaram -- both lawyers -- Swamy said "Crooked lawyers are the most dangerous people in the world". Dr Swamy while expressing surprise over the judgment of the trial judge O P Saini who dismissed his petition to make Chidambaram a co-accused with Raja in the 2G spectrum allocation scam, said that he was surprised at the judgment. He said, "The first 60 paras (paragraphs) are in my favour and the last three paras are in Chidambaram's favour. He is a very good judge but God knows what the reason is (for Judge O P Saini's decision)". He said he is looking out for a Supreme Court order that said one can directly approach the apex court in appeal against the trial court judgment and was confident of bringing the matter in the SC in the next three months. Calling Saturday's judgment bland and wrong Dr Swamy said, "Judges are human beings. They can make mistakes". Dr Swamy attacked the intent of the current Indian cabinet at the centre in coming out clean over the names of Indian nationals having black money in foreign banks in Leichstentein and HSBC. "India is the only country in a batch of 24," he said that has not shown any urgency in getting the list from French and German authorities who have the list. "The quantum of such unaccounted money in foreign banks is worth Rs 70 lakh crore or 40 per cent of India's GDP," Dr Swamy said. He wondered aloud whose names are on the list that is making the Indian government take refuge under laws and treaties that prohibit them from going public with these names. "God knows who all are on that list," he said. In yet another example of his fabled maverick nature Dr Swamy alluded that Indian government's is trying to buy French government's silence over the names of these influential people by buying Rafale fighter jets from French compant Dassault worth $ 10 billion. In a story that is developing fast and might take centrestage in the near future Dr Swamy pleaded that people like Anna Hazare and his team and Baba Ramdev who are spearheading their campaign against corruption by trying to harness mass support and individual crusaders against corruption like him should come together in their common goal of weeding out corruption from Indian society. "However, there are some Team Anna members who are opposed to joining hands with politicians," Dr Swamy said referring to the Team Anna's distrust for the political class. When rediff.com asked Dr Swamy to name who these Team Anna members were, he said, "they are unanimously opposed to coming together with us." However, the presence of Mayank Gandhi, head of India Against Corruption chapter in Mumbai at the event to felicitate Dr Swamy for his victory in getting the SC scrap 2G licenses sent tongues wagging. When asked if he was hopeful of a tie-up with Team Anna, Dr Swamy told rediff.com, "My doors are always open."